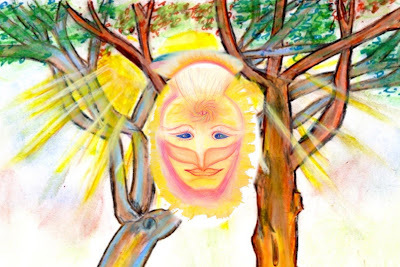 We, the Arcturians, would like to ask how YOU are doing? When we say you, we mean the “awakened humanity,” for un-awakened humanity is unable to even imagine that any one would be able to communicate with beings that are invisible to their third dimensional perceptions. In fact, there are still many humans who can only believe that reality is ONLY third dimensional. They may concede that something else happens when they meditate or dream, but the explanation need to be rooted within their third dimensional thinking. · There is a reality in which some believe that their fourth dimensional meditations and dreams are an offshoot of their physical self, who is their “real self.” Hence, these meditations, and dreams “may be” some form of communication from their inner self. However, their physical self is their highest and/or primary self. · There is also a reality in which ones think or believe that their dreams, meditations and imagination may be arising from their inner self to assist their ego self through daily life. · Fortunately, there is also a growing amount of humans, but still a small percentage, who believe that there is a higher dimensional component of their own being that resonates to a higher dimension of reality. · Some of this group believes that their higher resonance can, and does, assist them with their daily 3D life. Do you, our fully awakened ones, understand now why your transition into the higher realities is taking so long? On the other hand, there are also many humans who are fully awake to, and aware of, their own multidimensional nature. These fully aware humans are more than ready to fully activate their fifth dimensional perceptions in order to perceive the reality that resonates just beyond their Beta Wave/third dimensional consciousness and even their Alpha Wave/fourth dimensional consciousness. As we have stated many times, one can only perceive the reality that resonates to their state of consciousness. On the other hand, there are a rapidly growing percentage of humans who are beginning to awaken to higher states of consciousness. Therefore, they are beginning to remember their dreams, trust their “imagination” enough to turn it into a “new idea,” allow brand new thoughts and ideations to enter their minds, and trust the inner messages that suddenly appear in their mind, or their body, as they go about their daily life. These are the ones who will be able to consciously embrace the reality that Earth is NOT the only planet that has sentient life. Many of this population can even embrace the fact that Earth humans are NOT the most evolved “sentient beings” in your huge galaxy. Do you see the challenge for Earth? There are many very different populations of humanity who think and believe in very diverse ways. How can the population of Earth reach a cohesive state of awareness in which everyone can, at the very least, accept that others can perceive very different versions of reality? We, your Galactic Family, can understand how difficult it must be for those of you who can embrace fifth dimensional states of consciousness, perceptions and experiences, while you are also living and surviving within your daily third dimensional reality. We wish to commend you for finding the myriad unique ways in which you are adapting to a very difficult and extremely unique experience. Since Earth became the “melting pot” of many different star beings who came from many different areas of your Milky Way Galaxy, as well as from the Andromeda Galaxy, there is great diversity within one planet. The type of planetary diversity that Gaia enjoys is quite unique, but part of the reason for this variety of inhabitants is because beings came from many different star-worlds to settle on Earth. For example, many Pleiadians, Sirians, Draconians and Venusians, as well as members of other surrounding galaxies who wanted to have the experience of being on a free will planet, that was based on separation and the law of cause and effect. Some beings came from different Galaxies, such as the Andromeda Galaxy, http://earthsky.org/clusters-nebulae-galaxies/andromeda-galaxy-closest-spiral-to-milky-way to explore and often stay within the experience of ascending Earth. We would like to speak a bit about the Andromeda Galaxy. First, we want to put into perspective that Earth is not even a dot on a universal map: http://atlasoftheuniverse.com/localgr.html This map marks in yellow the three “local galaxies” of your own Milky Way Galaxy, the Andromeda Galaxy, as well as the Triangulum Galaxy. Being aware of the evolution of your personal consciousness greatly influences your “sense of self.” You start as an infant in whom your sense of self is connected with the one who feeds and cares for you. As you mature into an adult you sense of self depends greatly on what you do and how your state of consciousness influences what you are doing. If your state of consciousness is driven by fear, then you may feel that you need to work “hard" and face many disappointments. This fearful state of consciousness creates a sense of SELF in which you are “a victim” who is unable to find love and safety in a hostile world. · As you realize that you have found the way to rise above that which formerly held you down, you gain a sense of being—your independent, personal self. · As you can realize that there are higher dimensional versions of your self who are in continual connection with you—you gain a sense of being your multidimensional self. · As you gain a conscious connection with your own higher expressions of self—you gain a sense of being your Higher SELF. · As you gain a conscious connection with your Higher SELF, you remember that you have come to Earth to assist with planetary ascension. You can then recall that, in order to achieve your chosen mission, you will need to extend you sense of self to encompass your planetary self. you begin to expand your sense your galactic self. · The Home-world or Starship from which your Higher Self guides you within every moment of the NOW. · Why you came to Earth within this vital NOW of transmutation. 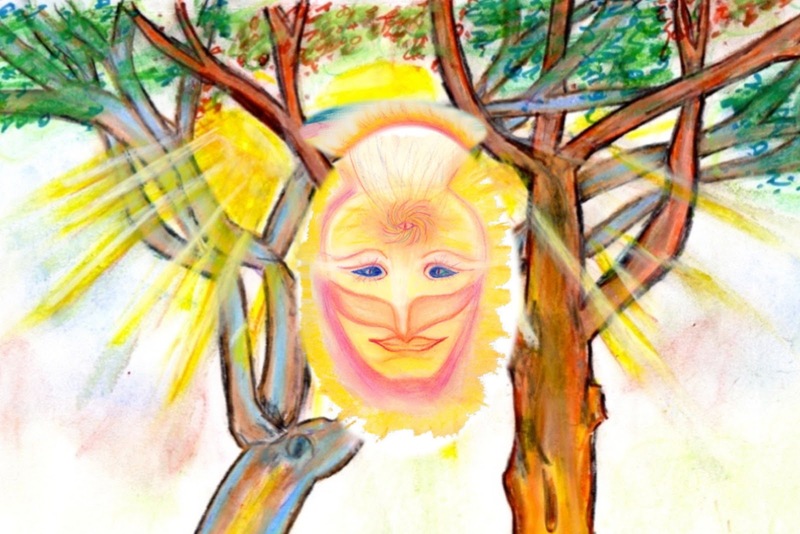 · How you can communicate with the higher expressions of Multidimensional SELF. · How you can follow the directives of your own Higher Self to remember the mission that you chose before taking this embodiment. · How you can remain grounded within your third dimensional reality while your consciousness is inter-twined with your higher dimensional expressions of SELF. · How you can remember and fulfill your pre-birth contracts. · How you can assist others and the planet to move into and through the higher sub-planes of space/time and into the fifth dimensional NOW of the ONE. We realize that one of your greatest challenges is the balancing of your third/fourth dimensional reality with your newly downloaded fifth dimensional states of consciousness, as well as with all your ever-expanding fifth dimensional perceptions. Because you are the pioneers for a new frequency of reality, you are among the minority of humankind who has volunteered to enter into the NOW of transition from a third-dimensional time/space reality into a fifth dimensional reality, that is based on HERE and NOW. Many of you brave pioneers to a new octave of reality are concerned about the level of chaos in your third dimensional life. We remind you that chaos always precedes change. The chaos reveals that which no longer works in your new higher frequencies. As uncomfortable as this chaos may be, we ask you try to embrace the chaos. When you embrace chaos, it is no longer your enemy. Embracing chaos allows you to discover and live the newest version of your SELF that you are now ready to download into your ever-expanding sense of self. In this manner, chaos is not your enemy, but your friend who is showing you what cannot expand into the higher dimensions. The thoughts, emotions, energy fields and thought forms that are inter-dimensional are paving the way to assist you to fully adapt to living within a multidimensional reality in which your physical laws of time and space no longer function. Those whose sense of self only included their third dimensional consciousness and reality will likely miss many of the higher dimensional events that will only be perceivable to those who have expanded their consciousness, and hence, their sense of self, into the fifth dimension and beyond. If one is “just a 3D human,” they will not be able to perceive the return of their fourth and fifth dimensional perceptions, as they are busy with the demands of their physical life. They will not find time to meditate, expand their consciousness and see auras, or feel the call of their own Higher Self. That is not a good or a bad choice. It is simply their choice. Not everyone wearing a physical body has incarnated on Earth to experience and assist with planetary ascension. There are millions of kind and loving people who are not interested in this type of information. Therefore, we say to those of you who are ready to share their experiences to look first into the aura of the one to whom they are speaking. Look just above their head to see if they are consciously connected with their higher dimensional expressions of self. If you perceive a void, you will know that they are not ready to enter into the experience of ascension. Talk about the weather or address your joint victories and challenges, then go about your way. We say this to you so that you do not have the difficulties that many “harbingers of change” have experienced when they attempted to move into the next higher frequency of reality. If you feel it is your choice to work with the population who is not ready for planetary shift, then blessings to you, and remember to be patient. We remind you all that each and every one of you are loved and supported by your higher dimensional family and friends. We also remind you that you did NOT leave our higher dimensional reality. · And finally, you expanded your sense of self to include your experience of being your personal self. Therefore, you did NOT diminish your true SELF in any manner. However, the time, separation, polarity, and hard work of the third dimension made many forget that your human self is, actually, the lowest octave of your Multidimensional SELF. Many of you have chosen to address unresolved issues from other incarnations, to more greatly empower your self-esteem and expand your sense of self to embrace the higher dimensional expressions, as well as your current physical embodiment. But, please remember that you have NEVER LEFT your higher dimensional expression of your self. What did occur is that during your long excursions into the third/fourth dimensions of reality, your “sense of self” became limited to your third dimensional self. This experience is much like feeling your feet walking in muddy water, feeling your body in the clearer water, and experiencing the air and sun on your upper torso and face. YOU are your feet in the muddy water. YOU are your head with the breeze and the higher light. YOU are also the light that caresses your face and makes the crown of your head tingle. Please remember that YOU are also the mud through which you walk. Feel all of these expressions of your self within the NOW of the ONE. Realize that you are also “the Now of the ONE” that you feel entering your crown. As you peak deeper and deeper into the fifth dimensional reality that is increasingly intermingling with the fourth dimension astral world of your meditations and dreams, and your third dimensional life on physical Earth, your Sense of SELF is expanding to include more and more frequencies of your innate Multidimensional SELF. We, your Galactic Family, remind you to send your ever-expanding sense of self deep into the core of Gaia’s planet Earth to ground your multidimensional, human energy field with Gaia’s multidimensional, planetary energy field. In this manner, while the third/fourth and fifth dimensional energy fields merge into ONE, people and planet also merge into ONE. Those of you that chose to take an earth vessel within this NOW to assist Gaia with Her transmutation will be transmuting your self while you are simultaneously transmuting Gaia. You are assisting with the birth/creation of fifth dimensional “New Earth” with the core of third dimensional Earth. You are also sending the seed of your fourth dimensional dreams and aspirations of a NEW LIFE to grow within the core of the planet, while you also plant that seed within the core of your personal earth vessel. · As well as the Lightbody YOU within your Starships and Home-worlds! It has been a long wait for our brave pioneers who volunteered to “assist Gaia with Her Ascension.” Many of you have served countless incarnations on Gaia’s third dimensional expression. Therefore, you have grown to love Gaia as your Mother. We want you to know that Gaia also loves you as Her children. We suggest that you begin to consciously perceive the changes in your perception of “time.” When you are busy, try to remember to take a moment of the fifth dimensional NOW to go inside and FEEL your Multidimensional SELF within you. Embrace that being your Multidimensional Self is as normal as having two arms and two legs. Also, take a moment to feel the many versions of your “sense of self” within the NOW of each moment. Please remember that the members of your Galactic Family are always within you. Thus, you are never alone! Within the ONE of this NOW, WE are YOU. Thank you Sue and Arcturians. "If I were to choose one word to say what human rights were all about, for me, I’d say: Freedom. Freedom to and freedom from. If you read the accounts of life on the other side, in the Fourth Dimension or Astral Plane, the most striking thing about the experience of the newly-arrived is their greatly expanded sense of freedom. The freedom to not eat. The freedom from ageing and death. The freedom to jump into a lake, go to the bottom, and not need to breathe. The freedom to study, to travel, to invent. On and on goes the experience of freedom in the astral world." ...the FREEDOM to ascend yourself to the 5D+ higher realities. The FREEDOM to *not be held hostage, by a planet*. From the perspective of the NOW in the ONE there is no freedom & simultaneously freedom at all. Also the so called “free will” is an illusion from this perspective, cause we all come from the source & we all are going to return to IT. There is no freedom to decide & no other choice. You can only decide to stay a bit more longer in darkness. Which is no freedom at all, cause it is a double illusion of great fear. First illusion: there is no time. Second illusion: darkness cannot heal. The golden light of loving yourself unconditionally heals all your wounds & the violet fire of transmutation frees you from dark entities. Peace & Freedom over all borders ! “Freedom” from all black/white thinking! True freedom can be only found inside yourself. There are so many borders like conditioning, prohibitions & patterns inside of us which have to be removed to be able to FEEL this true freedom. On the other way borders are not bad. They are simple tools to receive reality in between them. “Peace” of the so-called white or black BrotherSisterHoods. We are one: a humanity of Earth. In our hearts we as humans simply are siblings - brothers and sisters. And we should play well with each other. And by "well" here is meant “sister/brotherly, respectful, carefully, loving and gentle”. held hostage? no.. willing partner to assist and love this georgeous being called gaia. not because i have to but because i want to. i would rather be no other place. how could i leave her? unthinkable.. They are sooo good to hear! Thank you so much. I feel that I have found a community that is helping me to understand what I am going through at this moment.